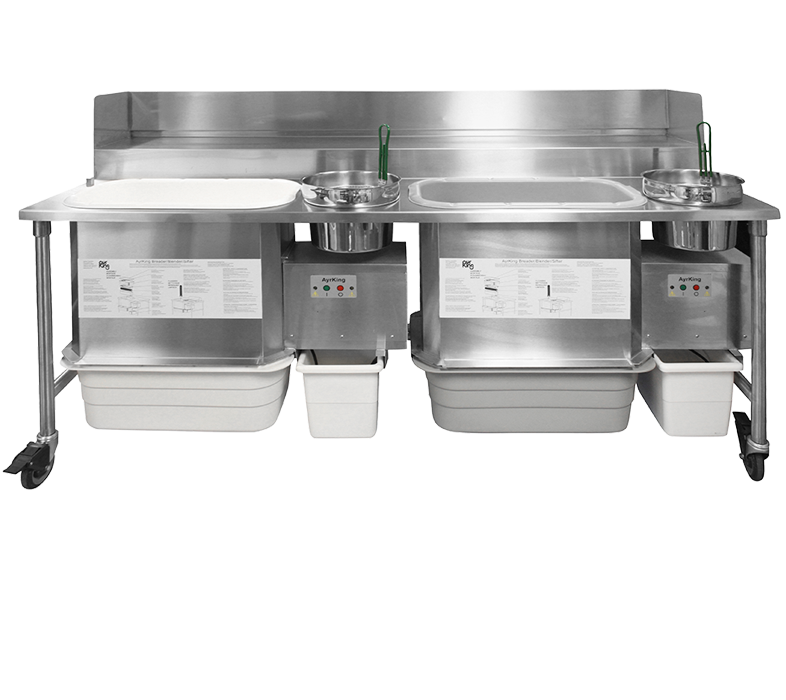 As a leading manufacturer of fresh fried food prep equipment, AyrKing offers durable, efficient products that allow operators to more quickly and more consistently prep the fried foods customers love. Our team has been engineering foodservice equipment solutions in Louisville, Kentucky, since 1972 – products built to deliver unmatched reliability and a perfectly prepared menu item every time. AyrKing manufactures fresh fried food prep products at use in thousands of locations around the world, serving a number of large, international QSR chains. AyrKing’s automated lineup delivers greater throughput, consistency and quality – as well as significant ingredient savings so operators get the most out of their breading and frying oil. You can visit AyrKing at www.ayrking.com. Automate your breading process. 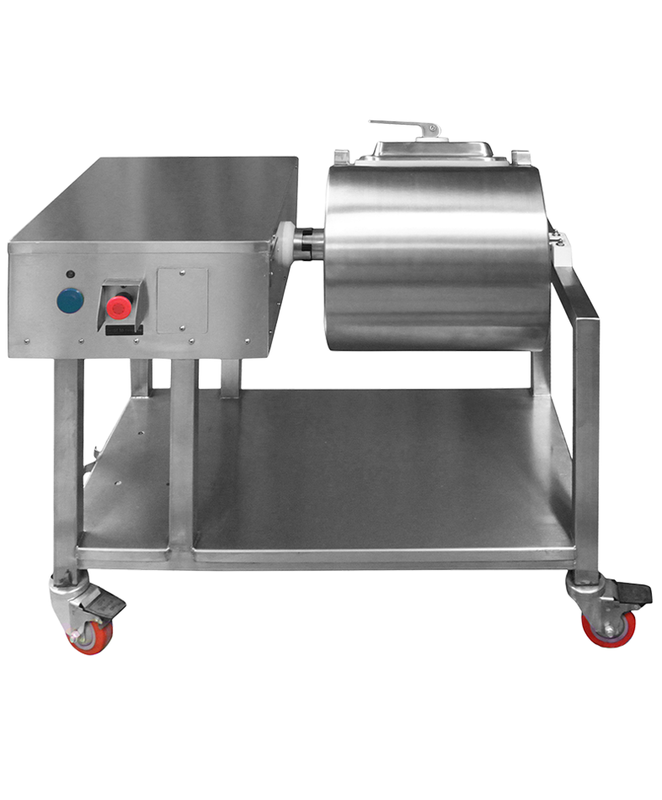 With the DrumRoll Automated Bread from AyrKing, operators can maximize valuable ingredients, increase batch efficiency, reduce the need for skilled labor and eliminate inconsistencies. While hand-breading can leave excess breading on product and shorten the life of cooking oil as it burns away, the DrumRoll is designed to not overcoat the product — reducing "blow-off" in the fryer and extending the life of your oil and your breading. Please call us at +90 212 244 46 16 for more information. AyrKing offers a manual breading workstation with integrated automatic Blender/Sifter machine. The BBS reduces the time it takes to sift 25 lbs. of breading by completing the entire blending and sifting cycle in just 60 seconds versus the typical 4-8 minutes, for hand-sifting. With the Breader Blender Sifter (BBS) from AyrKing, you get greater efficiency, increased ROI and superior flavor consistency compared with traditional methods. AyrKing offers a side by side manual breading workstation with integrated automatic Blender/Sifter machine. The BBS reduces the time it takes to sift 30 lbs. 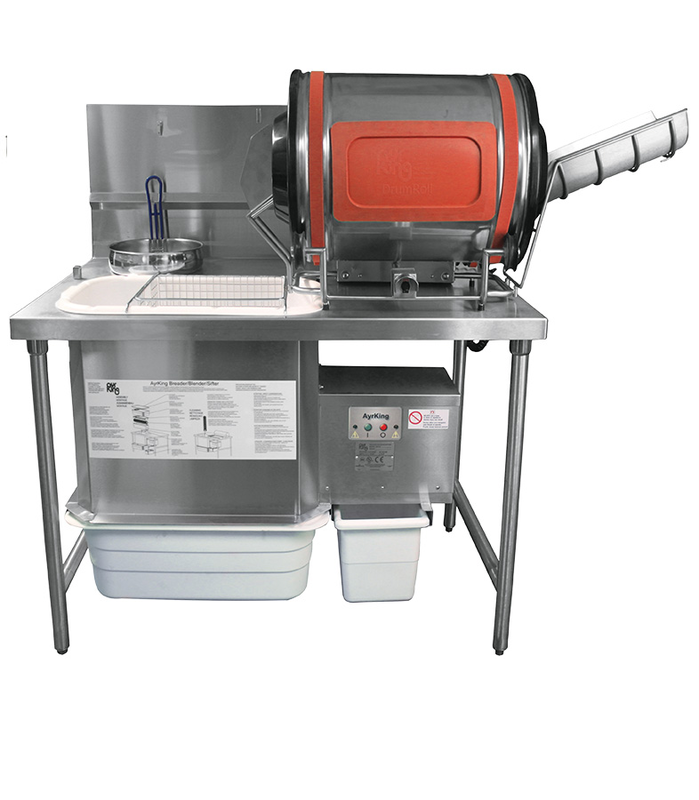 of breading by completing the entire blending and sifting cycle in just 60 seconds versus the typical 4-8 minutes, for hand-sifting. With the Breader Blender Sifter (BBS) from AyrKing, you get greater efficiency, increased ROI and superior flavor consistency compared with traditional methods. AyrKing offers an automatic blender/sifter machine for hand breading operations. The BBS reduces the time it takes to sift 30 lbs. of breading by completing the entire blending and sifting cycle in just 60 seconds versus the typical 4-8 minutes, for hand-sifting. With the Breader Blender Sifter (BBS) from AyrKing, you get greater efficiency, increased ROI and superior flavor consistency compared with traditional methods. 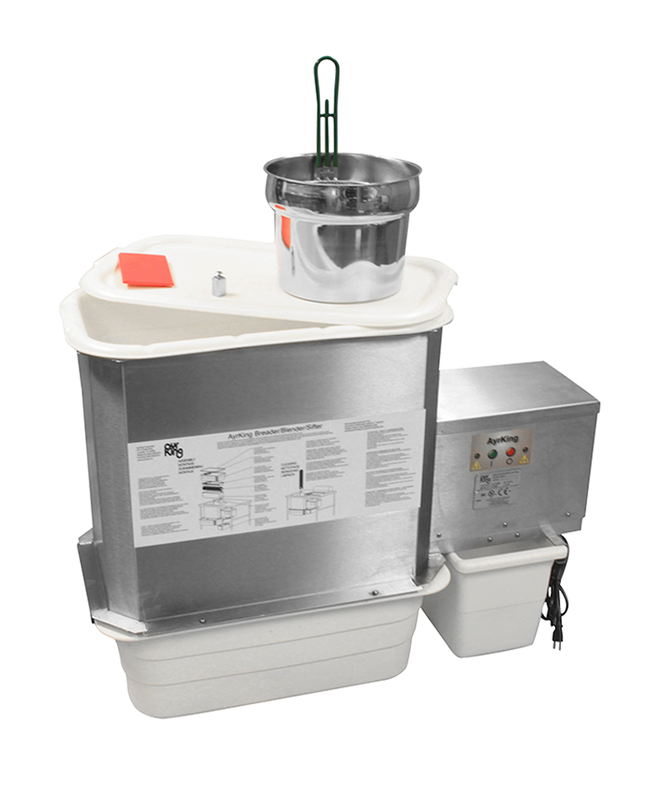 AyrKing’s tumble marinating system infuses a variety of flavors into menu items quickly and effectively. 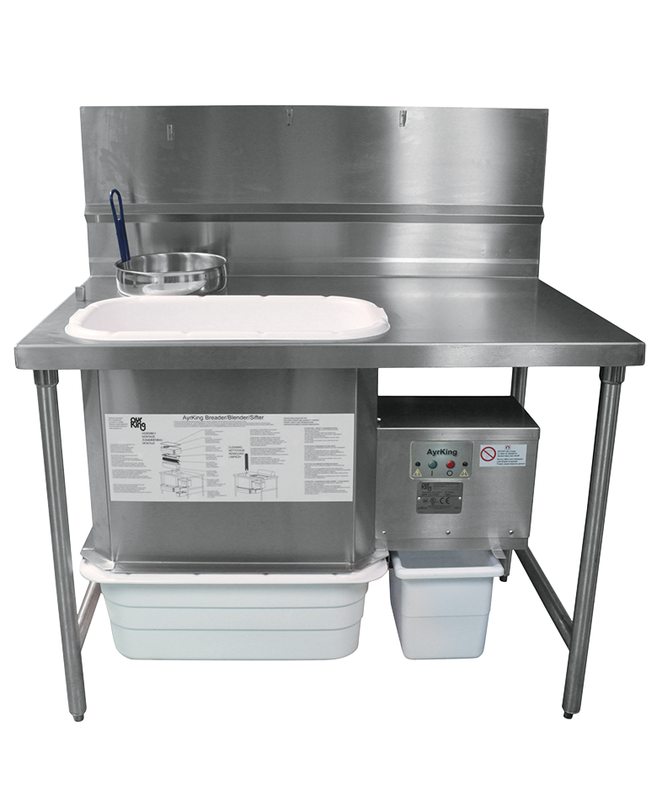 The marinator drum’s flat side helps tenderize proteins during tumbling – and the marinating time can be adjusted to accommodate any recipe. AyrKing’s innovative design allows operators to provide a freshly marinated product to customers without the fear of running out of product. Established in 1935, the GÜLERYÜZ companies have earned their well respected position in the commerce of industrial equipment. From the start, Klimatek joined forces with the best manufacturers in the business and still continues to represent them exclusively in Turkey. Subscribe to the Klimatek Newsletter for the latest products, news, website updates, and more. Copyright 2010-2018 Klimatek A.Ş. All rights reserved. Powered by Malopan Communications.